Just east of Tampa, Magnolia Park is almost sold out, and has only two new consumer-inspired single-family homes remaining. This beautiful, gated community comes with lawn maintenance included and no CDD debt. 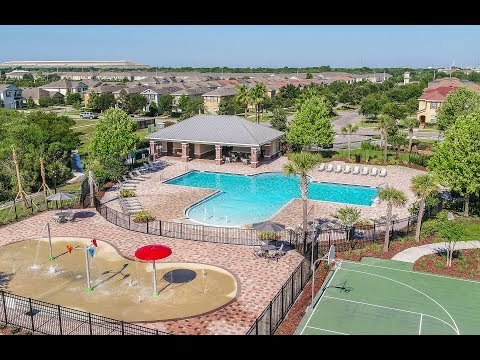 Enjoy family-friendly recreation in the community green spaces, three community pools, splash pad, basketball court, and multiple children’s playground. Walk and bike on the running paths and community trails. Explore Magnolia Park. The life you want, where you want to live it, has never been so attainable. The Magnolia Park community is located in the growing and highly sought after Riverview area. Enjoy splashing around in one of the three private tropical pools and splash pad, or running and playing with your children on one of the community playgrounds. The community trails are perfect for a leisurely bike ride, and family recreation in the great outdoors. East of downtown Tampa at the most northern part of Riverview, the Magnolia Park community in Hillsborough County offers easy access to MacDill Air Force Base and the shops in Brandon. Magnolia Park is near I-75, I-4 and the Tampa Crosstown Expressway, providing a short drive to Brandon Regional Hospital and the Gulf Coast beaches. Tampa International Airport is just 30 minutes away. Dine at the restaurants at nearby Brandon Town Center or west in Ybor City, home of the famed Cuban sandwich.